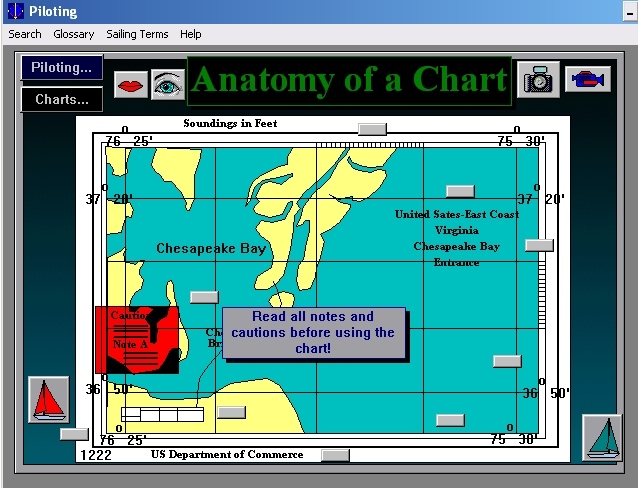 Ever try to learn to read nautical charts from a book? 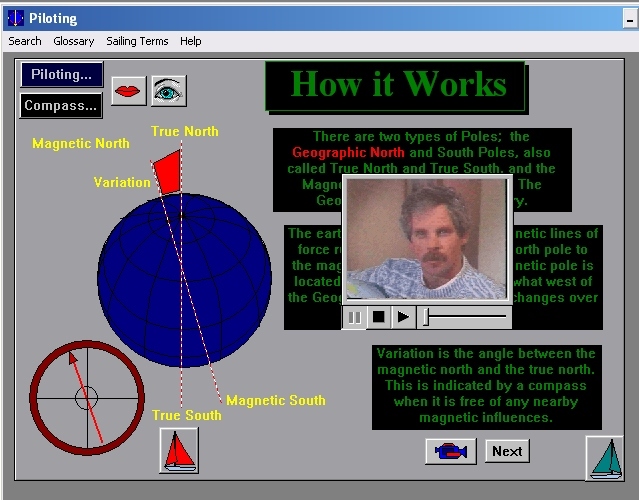 You can do it, but how much better to combine the sequential drawings with spoken instructions, animations and videos with an instructor. 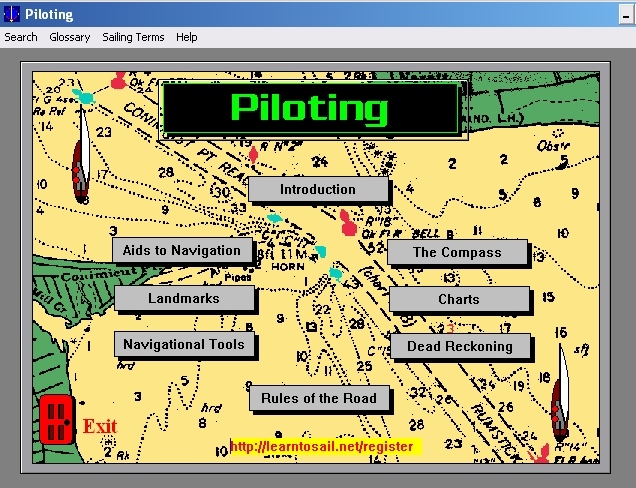 Learn Coastal Navigation at your own pace with this interactive navigation program on CD. The program is chock full of video clips narration and graphics demonstrating all aspects of coastal navigation. 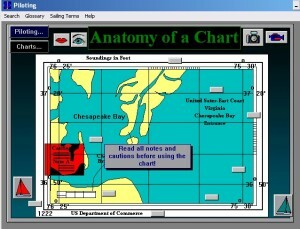 Step by step, learn all about buoy systems, compasses, variation, deviation, the compass rose, how to read charts, and dead reckoning. Also includes the Rules of the Road! Find out who has the right of way in many situations! Plus two Nautical Glossaries!